Saudi Arabia has suggested higher global demand may boost oil prices regardless of whether the cartel strikes a deal on Nov. 30 to cut output. That’s optimistic. Banking on stronger world growth to soak up excess supply is a dicey strategy when protectionism risks are growing. 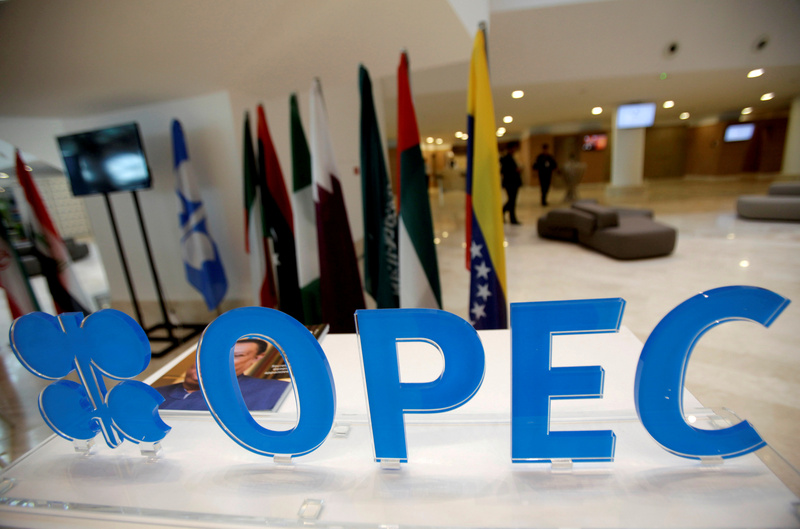 OPEC logo is pictured ahead of an informal meeting between members of the Organization of the Petroleum Exporting Countries (OPEC) in Algiers, Algeria September 28, 2016. Members of the Organization of the Petroleum Exporting Countries (OPEC), which produce about a third of the world's crude oil, meet on Nov. 30 in Vienna to discuss a deal to limit output. The cartel reached a preliminary deal in September to cap production at around 32.5-33 million barrels per day (bpd), down from the current output of 33.6 million bpd. The Nov. 30 meeting is being held to finalise that accord. Saudi Arabia's Energy Minister Khalid al-Falih said on Nov. 27 that he believed the oil market would balance itself in 2017 even if producers did not intervene, and that keeping output at current levels could therefore be justified.